According to the generally accepted story of human evolution, the human lineage split from that of apes some 7 million years ago in Africa. 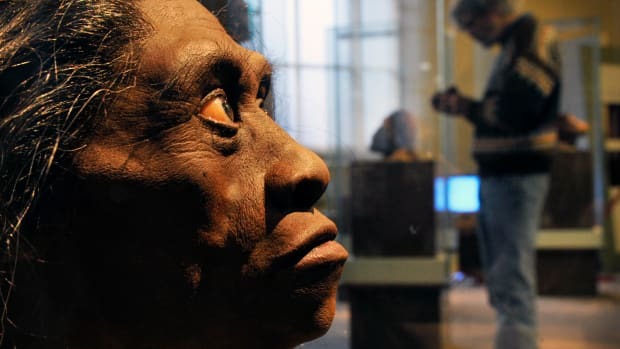 Hominins (early humans) are believed to have stayed put in Africa until about 2 million years ago, when they migrated first to Asia and then to Europe. l Graeco (Graecopithecus freybergi) lived 7.2 million years ago in the dust-laden savannah of the Athens Basin. This view from El Graeco’s place of discovery, Pyrgos Vassilissis, to the southeast over the plain of Athens and under a reddish cloud of Sahara dust; in the background: Mount Hymettos and Mount Lykabettos. Painting by Chicago-based artist Velizar Simeonovski according to scientific instructions of Madelaine Böhme and Nikolai Spassov. 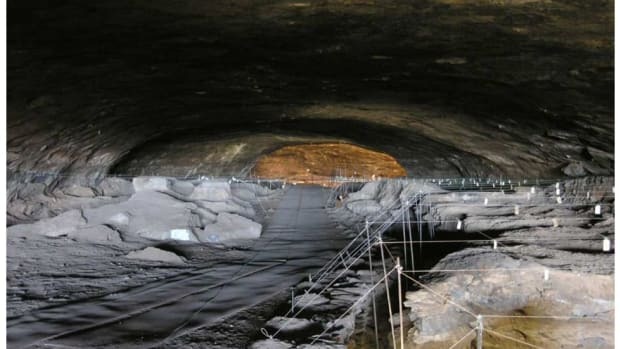 Now, a team of scientists from the University of Tubingen in Germany and the University of Toronto in Canada are seeking to revise that story. 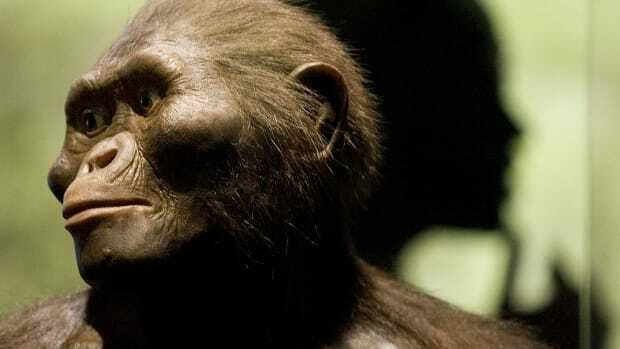 In two complementary studies published in the journal PLOS One, they argue that the earliest human ancestor emerged in Europe, not Africa, around 7.2 million years ago, or 200,000 years earlier than was previously thought. 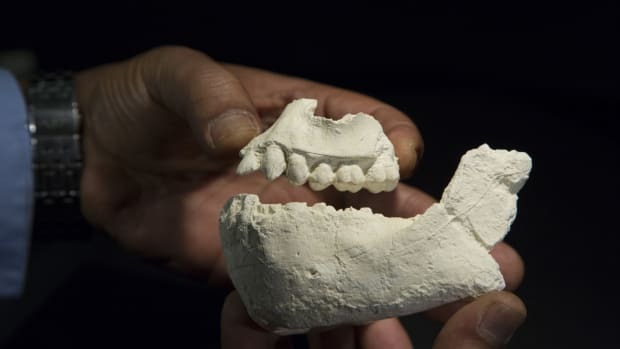 The researchers base their bold hypothesis largely on the analysis of two fossils: a mandible (lower jaw) found in Greece in 1944 and an upper premolar tooth found in Bulgaria in 2009. 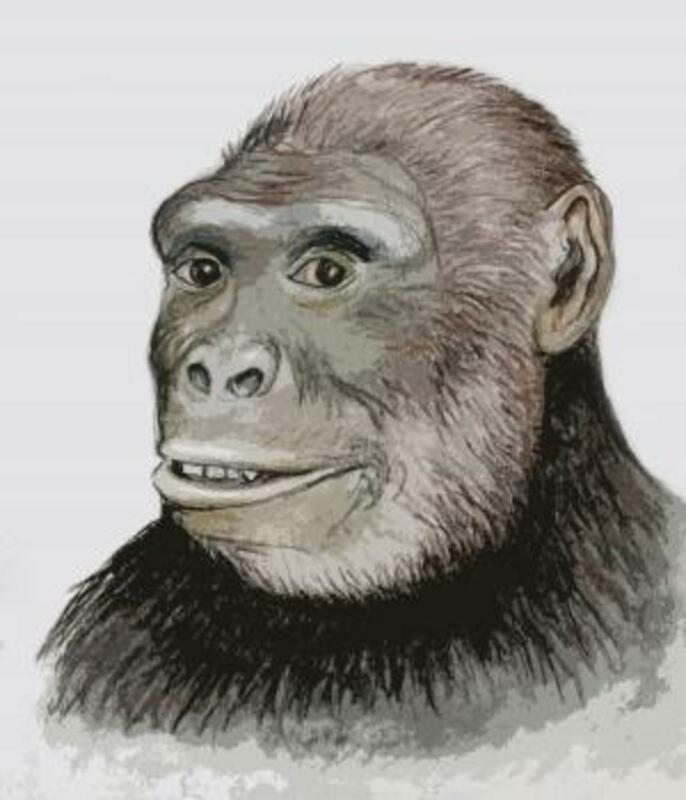 The fossils belonged to an ape-like creature known as Graecopithecus freybergi (“El Graeco,” for short), which roamed the Mediterranean region between 7.18 and 7.25 million years ago. Though the fossilized jawbone from Greece has been around a while, most scientists had dismissed it as a source of good information due to its poor condition. 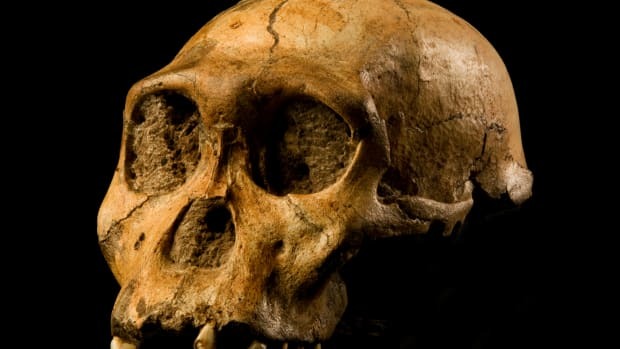 “It’s not the best specimen in the world,” David Begun of the University of Toronto, who co-authored the new research, told HISTORY. 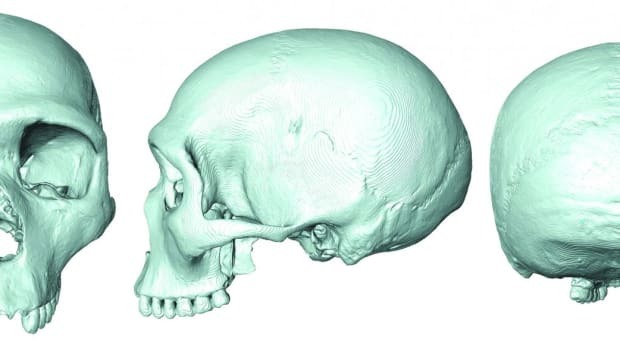 “It has a lot of damage to the surface of the jawbone itself and a lot of damage to the teeth, so they’re really hard to see, they’re difficult to measure, and it’s hard to say what they look like.” But when Begun’s colleague, Madelaine Böhme, had the idea of using computer tomography, or CT-scanning, to look inside the mandible, things got more interesting. 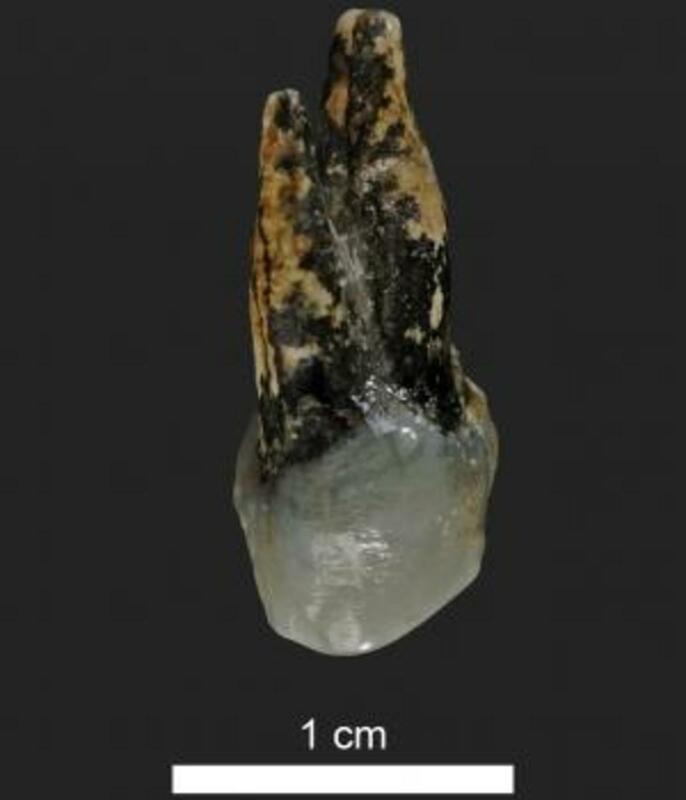 In addition, analysis of the two fossils showed that some of the roots of the bicuspid teeth of Graecopithecus—what we call the premolars—had simplified, or fused to form fewer roots. “That is again something that you only see in humans and our fossil relatives. It is extremely rare to find it in living apes, and you don’t see it in any fossil apes from the same time period,” Begun noted. 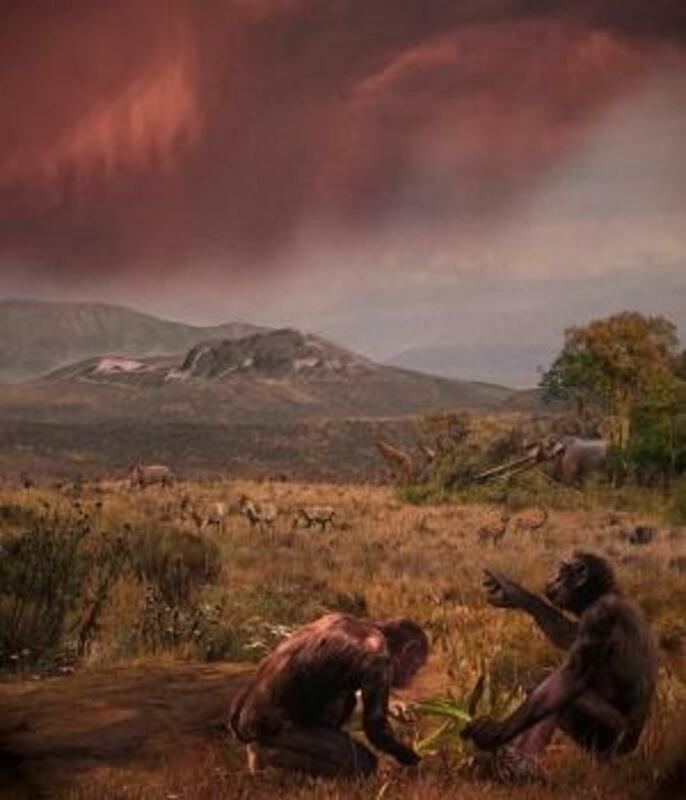 In the second, complementary study based on sediment in Greece and Bulgaria from that time, Begun and his colleagues found that the climate during the period El Graeco lived there would have been similar to the dry savannahs known to have encouraged the shift to bipedalism that marked early hominin evolution. In fact, it would have been highly similar to the climate of eastern Africa. Head sketch is by Assen Ignatov of the Bulgarian National Museum of Natural History. Some other experts in human evolution are skeptical of Graecopithecus’ newly anointed status as the earliest known hominin. In particular, they question the claim that the jawbone and tooth shape alone establish its pre-human status.